Here is an Authentic Beeswax Candle! 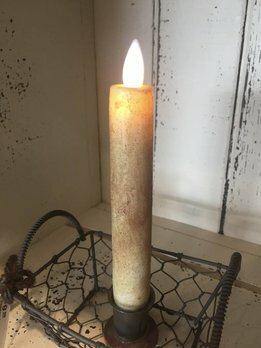 The Primitive Beeswax Timer Taper Candle will bring a beautiful glow to any room. Candle holder not included. 6" tall. Bring a glow to your Primitive home with the hand dipped Moving Flame Drippy Black Candle. 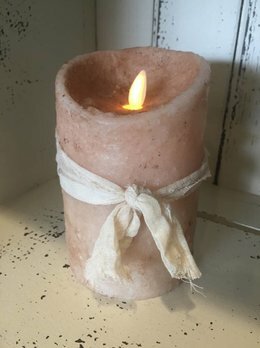 This pillar styled battery operated candle looks as if it's been well used to light your cozy corner or bookshelf. 4" tall, requires 2 AA batteries, not included. 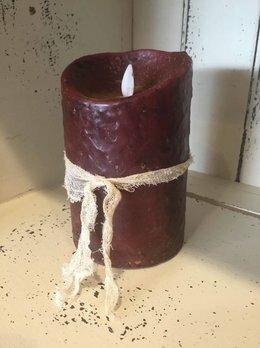 Hand Dipped Primitive Burgundy Timer Pillar Candle 3.5" x 5"
Bring a glow to your home with the Hand Dipped Primitive Burgundy Timer Pillar Candle. The beautiful Burgundy stands out and adds a classic touch to any room. Measures 3.5" x 5". Batteries not included. 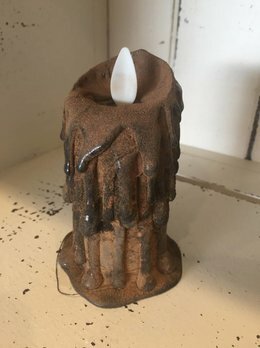 Hand Dipped Primtive Brown Timer Pillar Candle - 3.5" x 5"
Bring a glow to your home with the Hand Dipped Primitive Brown Timer Pillar Candle. The rustic Brown stands out and adds a classic touch to any room. Measures 3.5" x 5". Batteries not included. 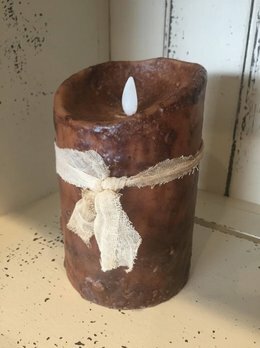 Hand Dipped Primitive Burnt Ivory Timer Pillar Candle 3.5" x 5"
Bring a glow to your home with the Hand Dipped Primitive Burnt Ivory Timer Pillar Candle. The beautiful Burnt Ivory stands out and adds a classic touch to any room. Measures 3.5" x 5". Batteries not included. 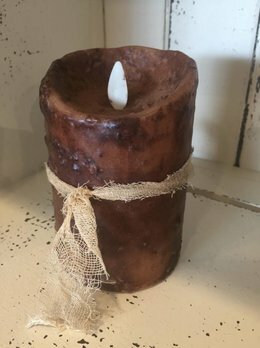 Bring a glow to your home with the Hand Dipped Primitive Brown Timer Pillar Candle. The timeless Black stands out and adds a classic touch to any room. Measures 3" x 4". Batteries not included.